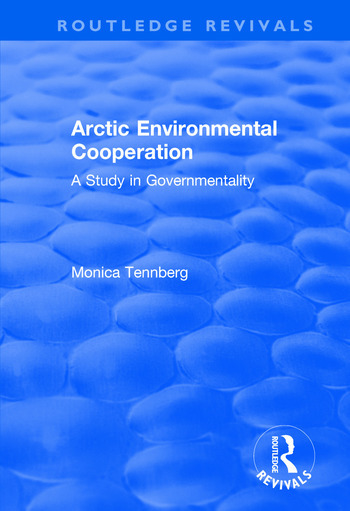 This title was first published in 2000: The book analyses the development of arctic environmental cooperation since the late 1980s until the establishment of the Arctic Council in 1996. The study is based on the discourse analysis of statement, documents and interviews by the different actors in the cooperation. In this book, the problem of the environment is seen as a problem of order: it is a problem of ordering relations among related actors, of ordering priorities of action and of ordering relations between different institutional arrangements locally, regionally and internally. Three discourses were found in the cooperation: discourses of sovereignty, knowledge and development. In the discourse of sovereignty, the development of relations between state and indigenous peoples in terms of international environmental cooperation is central. In the discourse of knowledge, the different forms of knowledge and the role of different producers of knowledge in cooperation has been discussed. The discourse of development focuses on the idea of sustainable development and its applications in defining the future of the Circumpolar North and the activities of the Arctic Council. The arctic cooperation can be understood as a regional effort to make an order of sustainability into practice. Contents: Introduction; Discourse on sovereignty; Discourse on knowledge; Discourse on development; Governmentality in the Arctic; Bibliography; Index.